Head of the Innovation Center for Phlebology "MIFTS"
Эндоваскулярный хирург, эстетический флеболог, врач-эксперт по ультразвуковой диагностике вен нижних конечностей, кандидат медицинских наук. Действительный член "Всемирной ассоциации флебологов" UIP – International Union of Phlebology", "Российского общества ангиологов и сосудистых хирургов", "Евро-Азиатской ассоциации ангиологов и сосудистых хирургов", "Научного общества клинических флебологов", "Санкт-Петербургской ассоциации флебологов" SPSP, член "National Board of Phlebology", "Baltic Society of Phlebology" - Baltic Society of Phlebology, Riga. Clinical internship on the basis of the surgical department of the City Clinical Hospital of the city of Krasnokamsk, Perm Region. Since 1995, the surgeon in the city hospital. From 1998 to 2000 year passed clinical residency in the Russian Research Center of Surgery of the Russian Academy of Medical Sciences. 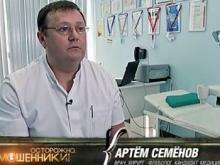 B.V. Petrovsky "on the specialty" Surgery ". 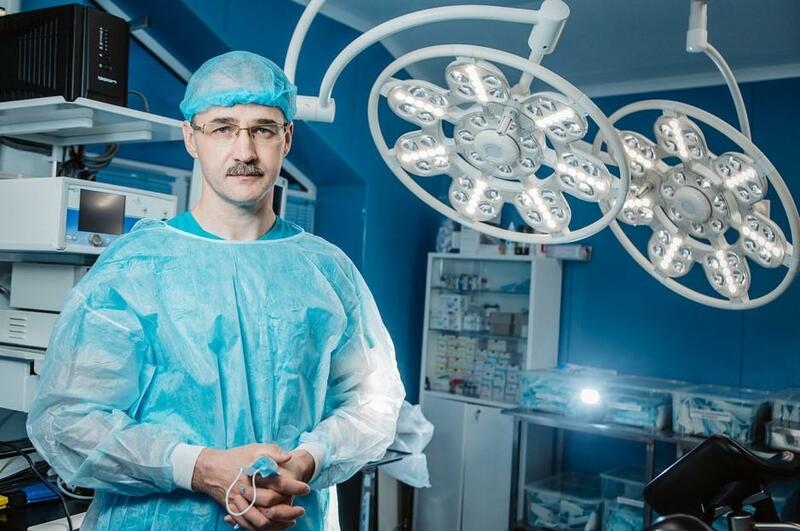 From 2000 to 2006, he worked as a research fellow of the department of "Thoracoabdominal surgery" in the Russian Research Center for Surgery of the Russian Academy of Medical Sciences. B.V. Petrovsky ", where he defended his thesis. From 2006 to 2007 year - assistant of the Department of Hospital Surgery "Moscow Medical Academy. THEM. Sechenov. " From 2004 to 2009 year - surgeon-phlebologist of "Medical Institution on Phlebology Problems". In November 2009 founded and organized "Центр Современной Флебологии" and directed the direction "Clinic of Modern Phlebology on Taganka" on the basis of a multidisciplinary clinic «Креде-Эксперто» on Taganka. 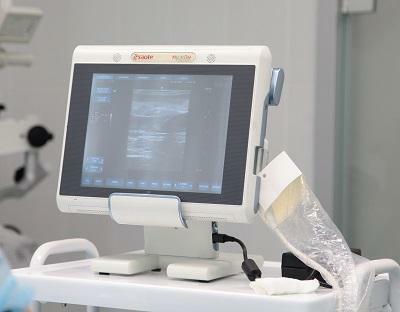 Under the direction of Artem Yurievich, on the basis of the "Center for Phlebology in Taganka", surgeons-phlebologists of Moscow and Russia underwent training in innovative methods of treating varicose veins, such as radio-frequency obliteration (RFO) and foam sclerotherapy. Since December 2012 has been the leading expert and honorary specialist of the "City Laser Surgery Center" (SCLC) under the guidance of Dr. EA Letunovsky. Since January 2013 year was the head "The Center of Phlebology SwissClinic» Swiss University Clinic. С декабря XNUMX года и по настоящее время руководитель Инновационного центра флебологии "MIFTS" with a branch in the city of Smolensk. In 2006 - 2012 year passed certification courses on cycles "General surgery", "Outpatient surgery and phlebology", "Outpatient inguinal hernia plastic surgery" on the basis of "RNTSH RAMS them. B.V. Petrovsky "and the course of improvement in the program" Outpatient phlebology "on the basis of the" Moscow Medical Academy. THEM. Sechenov. " During the work more than 7000 thousand interventions on the veins of the lower extremities were performed, including endovascular procedures of EVLK and RFA. In 2010 and at the beginning of 2011 year, one of the first in Russia was trained in the United Arab Emirates procedure of radiofrequency ablation (RFA) of varicose veins closureFAST. Today has the greatest experience in the treatment of varicose veins by RFA in Russia. Carried out by Dr. Semenov radiofrequency ablation of the veins of the lower extremities in Moscow, is one of the most reliable and safe methods of eliminating varicose veins. In 2014, I underwent professional retraining in the Russian National Research Medical University named after NI Pirogov of the Ministry of Health of the Russian Federation for "Ультразвуковой диагностике". On the latest modern equipment uses ultrasonic duplex scanning (UZDS) methods in patients with varicose veins. radiofrequency ablation of Closure FAST (RFA). In everyday practice, he uses all the latest methods of sclerotherapy: microsclerotherapy, ozonosclerotherapy, microthermocoagulation and microfamily Foam-Form sclerotherapy. Performs all types of surgical interventions for varicose disease of the lower extremities, both outpatient and in-patient in one day: crossectomy, mini-phlebectomy, microflebectomy, combined phlebectomy. The doctor developed and put into practice combined mini-invasive methods for the treatment of acute thrombophlebitis and trophic ulcers with the help of endovascular procedures (RFA and EVLK). Author and co-author of a large number of published papers and reports on phlebology. Participant of Russian and international scientific and practical conferences, seminars and master classes on venous pathology, congresses held under the aegis "Association of phlebologists of Russia". "Euro-Asian Association of Angiologists and Vascular Surgeons"
"Scientific Society of Clinical Phlebology"
"IX All-Russian Congress of Surgeons", Volgograd, 20-22 September 2000.
International Conference "Topical issues of thoracic surgery", Krasnodar, September 2000. Conference of Young Scientists of Russia with International Participation "Fundamental sciences and the progress of clinical medicine", Moscow, April 2001 year. Conference "Actual problems of ecology, experimental and clinical medicine", Orel, 26-27 April 2001. "Diagnosis and treatment of varicose veins", мастер-класс Attilio Cavezzi, г. Москва, март XNUMXг. "55 Congress of the European Society of Cardiovascular Surgery", St. Petersburg, 2006. VII Scientific and Practical Conference "Problems of outpatient surgery" polyclinic surgeons in Moscow and the Moscow region, Moscow, 2006. "VI Scientific and Practical Conference of the Russian Phlebology Association", Moscow, "Cultural Center of the Armed Forces of the Russian Federation", 23-24 May 2006. "V jubilee conference - topical issues of herniology", Moscow, RAMS GU RNTSH them. Academician B.V. Petrovsky, 18-19 October 2006. VIII Scientific and Practical Conference "Problems of outpatient surgery" polyclinic surgeons in Moscow and the Moscow region. Moscow, "Institute of Surgery. A.V. Vishnevsky ", 2007. VII Scientific and Practical Conference of the Russian Phlebology Association "Do with us. Do as we are. Do better than us, Moscow, "Institute of Surgery. A.V. Vishnevsky, 15-16 May 2008. IX Scientific and Practical Conference "Problems of outpatient surgery" polyclinic surgeons in Moscow and the Moscow region, Moscow, "Institute of phlebology and surgery. A.V. Vishnevsky ", 2008. "XIII Annual Session of the Scientific Center for Cardiovascular Surgery named after AN Bakulev with the All-Russian Conference of Young Scientists", Moscow, 2009. 21- International Conference "The role of vascular surgery in reducing mortality in Russia", Samara, July 2009. "III Congress of Out-patient Surgeons of the Russian Federation", г. Санкт-Петербург, XNUMXг. X Scientific and Practical Conference "Outpatient Surgery Problems" of Polyclinic Surgeons in Moscow and Moscow Region, Moscow, "AV Vishnevsky Institute of Surgery", 2009. VII conference "Actual questions of herniology", Moscow, RAMS GU RNTSH them. Academician B.V. Petrovsky, 18-19 October 2009. "Восьмая научно-практическая конференция Ассоциации флебологов России", Moscow, "RNIMU him. N.I. Pirogov ", 14-15 May 2010. "VNUS Closure master class", Moscow, 24 September 2010. "Endovasal laser coagulation (EVLK) - an innovative approach in the outpatient treatment of varicose veins of the lower extremities", Moscow, 23 October 2011.
International Symposium Venous Simposium " , United Arab Emirates, Dubai, 16-17 February 2011. "Endovasal obliteration in the treatment of varicose veins: condition and prospects", Moscow, FGU "Treatment and Rehabilitation Center" of the Ministry of Health and Social Development, 01 aperl 2011. "Actual questions of phlebology", Moscow, 19 April 2011., Prof.H.Partsch (Austria), Dr.G.Mosti (Italy). International course "Practical phlebology," Moscow, "NTSTSH them. AN Bakulev, "01 November 2011. "Topical issues of endovenous thermoblitteration", Moscow, "NMTSH them. N.I. Pirogov, 15 March 2012. Master-class of Professor Jean-Francois UHL (France) "Clinical 3D anatomy of the venous system of the lower extremities: Diagnostic possibilities: XXI century" , Moscow, 17 April 2012. "Девятая конференция Ассоциации флебологов России с международным участием", Moscow, "RNIMU him. N.I. Pirogov ", 18-19 May 2012. 23 International Conference "Topical issues of vascular surgery", St. Petersburg, 29-30 June 2012. I International Congress "Wounds and wound infection", dedicated to the 90 anniversary of Professor BM. Kostyuchenka Moscow, 11-13 October 2012. "IX conference - topical issues of herniology", Moscow, RAMS GU RNTSH them. Academician B.V. Petrovsky, 31 October - 1 November 2012. Workshop "Obstetrics-gynecology and surgery: topical issues at the intersection of specialties", Moscow, 1 December 2012. Scientific and Practical Conference "Ambulatory phlebology: hopes and realities", г. Москва, НМХЦ им. Н.И. Пирогова, XNUMX марта XNUMX г.
XNUMX-й Санкт-Петербургский Венозный форум (Рождественские встречи) "XNUMXth St. Peterburg Venous Forum" (Christmas Meeting), г. Санкт-Петербург, XNUMX декабря XNUMX г.
Master-class of the professor from Italy Attilio Cavezzi "Sclerotherapy Today: Authors' Techniques of Attilio Kaveczi and New Ways of Treatment", Moscow, 21 December 2015. "Master class on innovative methods of treating varicose with international participation (Attilio Kavezzi Italy, Simone Urso Italy, Uldis Maurins Latvia) ", Moscow, 14 October 2016. Phlebological round table with interactive discussion: "Sclerotherapy of the hands: for and against", Moscow, 27 April 2017.
International Conference "Russian-Indian Venous Forum", Moscow, NMHTS them. N.I. Pirogov, 11 August 2017. Symposium and master class with international participation "Innovative technologies in the treatment of varicose veins" St. Petersburg, 8 September 2017. Seminar with interactive discussion and master class: "Microsclerotherapy or percutaneous laser: which is better? ", Moscow, 15 September 2017. Seminar with master class: "Radiofrequency ablation of veins - a modern method of treating varicose veins", Nizhny Novgorod, 29 September 2017. Конференция с международным участием на тему «Веносохраняющая хирургия варикозной болезни: очевидное, но невероятное». г. Москва, XNUMX октября XNUMXг. Семинар с мастер-классом: «ЭВЛО вен – современный метод лечения варикоза» с последующей лекцией и мастер-классом по склеротерапии вен на руках, г. Пермь, XNUMX октября XNUMXг. XNUMX-й Санкт-Петербургский Венозный Форум (Рождественские встречи), "XNUMX-th St. Peterburg Venous Forum" (Christmas Meeting), г. Санкт-Петербург, XNUMX ноября и XNUMX декабря XNUMXг. Семинар с мастер-классом: «Эндовазальные методы лечения варикозной болезни нижних конечностей», г. Казань, XNUMX декабря XNUMXг. Школа тромбоза: «Тромбоз поверхностных вен: в поисках оптимального подхода», Москва, XNUMX декабря XNUMXг. Флебологический круглый стол с интерактивной дискуссией на тему: «Эндоваскулярное лечение варикозной болезни, осложненной тромбофлебитом», Санкт-Петербург, XNUMX марта XNUMXг. Конференция с международным участием: «Новые исследования в антикоагулянтной терапии венозных тромбозов», Москва, XNUMX марта XNUMXг. Round table: "Инновационное лечение варикозной болезни, осложнённой тромбофлебитом", Москва, XNUMX марта XNUMXг. Научно-практическая конференция по современной флебологии с международным участием: "The modern patient is an oriented approach in phlebology: from innovations to real practice", Ярославль, XNUMX-XNUMX мая XNUMXг. Международная конференция: «Первый Казахстанский Венозный Форум», Алматы, Казахстан, XNUMX мая XNUMXг. Научно-практическая конференция с международным участием: «Лазерная флебология XNUMX», Санкт-Петербург, XNUMX мая XNUMXг. XII научно-практическая конференция Ассоциации флебологов России с международным участием "Topical issues of phlebology", Рязань, XNUMX мая - XNUMX июня XNUMXг. Семинар с международным участием: «Теория и практика лимфотерапии с Bauerfeind Venotrain Curaflow», Moscow, 04 September 2018. Семинар с интерактивной дискуссией: «Эндоваскулярное лечение осложнений варикозной болезни», г. Новосибирск, XNUMX сентября XNUMXг. Семинар профессора, д.м.н. И.А. Золотухина «Современные подходы к лечению и профилактике венозных тромбозов», Moscow, 24 September 2018. Школа тромбоза №XNUMX, XNUMX-го цикла, на тему: «Рациональное использование дополнительного арсенала в лечении острого венозного тромбоза», г. Москва, XNUMX-XNUMX октября XNUMXг. Conference «Пациент с венозной патологией на хирургическом приёме: от варикозной болезни до посттромботического синдрома», г. Москва, XNUMX ноября XNUMXг. Конференция с международным участием «Эстетическая флебология», Москва, XNUMX ноября XNUMX года. XNUMX-й Санкт-Петербургский венозный форум "Рождественские встречи", "XNUMX-th St. Peterburg Venous Forum" (Christmas Meeting), г. Санкт-Петербург, XNUMX ноября – XNUMX декабря XNUMXг. Медиа-конференция «Флебология две столицы» Москва - Санкт-Петербург, XNUMX февраля XNUMXг. Презентация и мастер-класс для флебологов «Центра Современной Фллебологии» от компании «CANDELA», г. Москва, XNUMX февраля XNUMXг. Научный семинар “Лечение венозных тромбоэмболических осложнений и предотвращение их рецидивов в реальной клинической практике: возможности, трудности, ошибки”, Moscow, 18 March 2019.